British luxury sedans are truly a segment all to themselves. 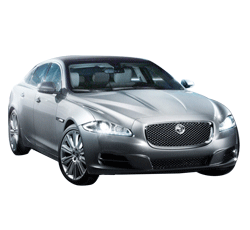 The 2015 Jaguar XL is a perfect example. Not quite as flashy as its Italian rivals, nor as conservative as its German counterparts, this vehicle strikes a good balance in-between while offering the elegance and high-quality one would expect in a model priced at around $90K. Aside from the beautifully appointed interior and long list of standard features, the Jaguar XJ is also quite the performer. Acceleration is off the charts, and the handling at high speeds is unrivalled. It is an absolute delight to drive, and although it fits nicely into the full-size sedan class, it operates like a true sports vehicle. Mechanically, the XJ is unchanged from last year. Both the regular and long-wheelbase styles are once again offered, and both contain the same list of standard equipment. Buyers can still select the Supercharged trim on either variant. The interior is also basically the same, with a few minor changes to the built-in software that runs the driver information center and audio system. This innovative piece of technology results in a very quiet, comfortable ride. The suspension is very responsive and completely dampens any shocks or bumps. Taking the curves at high speed without drift or vibration is absolutely vital for a vehicle to be given top ratings in the sporty handling department, and the XJ takes the sharp turns as well as any vehicle currently on the market. Not something one would expect in a sedan, the all-wheel drive option means even more driver control. Available on all trims, the all-wheel drive allows for excellent traction and steering response when tackling hairpin turns and when lots of low-gear acceleration is required. The base trim XJ is powered by a supercharged 3.0L V6 that produces a total of 340 horsepower and 332 lb-ft of torque. The engine is coupled to an 8-speed automatic transmission. The uplevel Supercharge trim comes with a 5.0L V8 that cranks out 470 horsepower. Acceleration for the uplevel XJR trim is quite impressive, with the vehicle going from zero to 60 mph in just 4.1 seconds. If high-quality leather is a priority, the 2015 Jaguar XJ won't disappoint. The leather seating is complemented by the bright chrome, ambient lighting, and sharply lit digital instrument panel. Designed somewhat differently from the traditional dial instrument displays seen on many other upscale sedans, the XJ features bright ice blue and cherry red lighting on the touchscreen and instrument cluster, and most of this lighting is user-configurable. The upholstery is just plush enough and not too thick. Nearly all of the digital instrument indicators can be reconfigured and the display changed to suit the desires of the driver. Depending on how one wants to reach out and touch a control, changing the touchscreen icon positions is a nice addition to the interior features. The 8-inch touchscreen is easily readable and controls the climate and audio systems. The base XJ comes with a long list of features not available on some of the competing luxury sedans. These include a 14-speaker Meridian audio system, voice controls, and satellite radio. The front seats are 14-way power-controlled, and include heat and massage. The long-wheelbase variant also includes a package option with heated power rear seats and the same massage control. Power rear sunshades and a rear seating area entertainment system are also part of the uplevel package specials. The XJL Portfolio trim can be purchased with either a Sport or Speed package. For those who want to experience all that the Jaguar XJ has to offer, it's worth considering the shelling out of another couple thousand dollars to get one of these variant packages. Included amenities are red brake calipers, a much higher top-speed limiter, and a combination front splitter and deck lid spoiler. For the most extensive list of features, the uplevel XJR - both the regular and long-wheelbase variants - can be purchased with a heated windshield, superior adaptive cruise control with integrated driver alerts, and a magnificent 26-speaker Meridian audio system. Braking distance for the XJL Portfolio is much shorter than average. In independent testing, the average from 60 mpg -zero was 124 feet, but the XJR trim achieved a full stop from this speed in just 105 feet. A rearview camera and blind-spot alert are standard on all trims. This allows for slightly better gas mileage even when the optional equipment is added. The construction quality of the exterior is average at best, but the exceptional handling one experiences is due to the well-built frame and low drag. Most uplevel sedans contain such safety systems as lane departure, surround-view camera, and automatic braking during a collision alert. These are standard on most of the XJ's rivals. Although the usual amenities are there, some missing touchscreen controls and lack of customized entertainment controls are immediately noticeable. Some models costing half as much contain these user-friendly controls, but they are nowhere to be found on the 2015 Jaguar XJ. 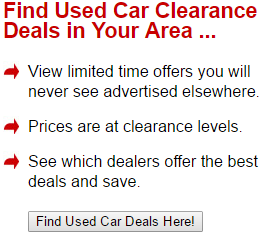 Some of the interior materials are the same as what is found on the cheaper Jaguar models. This doesn't look good on the vehicle's resume. German and Italian models in this segment generally have better exterior construction and more advanced high-tech features. Other upscale European sedans offer diesel or hybrid variants, but Jaguar has dismissed this option for the time being. However, the combination of interior elegance and nimble performance one experiences with the XJ is not outdone by either Mercedes-Benz or BMW. It really depends on what one expects for the money paid. If excellent handling and superb performance at high speed on the highway is a priority, one can't go wrong with the Jaguar XJ. Other models have better exterior construction and contain more advanced tech features, but the smooth ride and superior driver control is what places this model on the same level with the other flagship models from competing automakers.